Interlinking your WordPress blogs is a great medium to retain blog engagement and increase viewership. Interlinking will not only assist you in sharing your blog but will also make your blog one step closer to the top spot in the search engine result pages. Search engines need to index and crawl your blog to rank it appropriately. Interlinking the published content helps the search engines to crawl and index efficiently. Relevant page linking will assist in decreasing the bounce rate, allowing your website in getting more views. How do you interlink the blog posts? The manual method that almost every blogger uses is when they draft a new piece of content, they manually search for related content and hyperlink it, with additional parameters whether the link should be dofollow or nofollow, and if the interlinked blog post/s should open in the same browser or a new browser tab. All this takes a lot of time and the manual method isn’t recommended if your blog publishes tons of content daily. You can opt for the automatic methods. Here are some of the tools to link new blog content with older blog posts automatically. These plugins require one-time setup only. 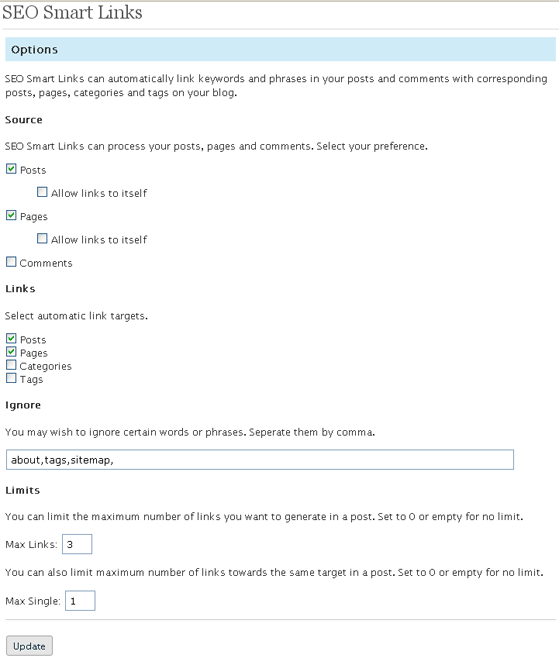 SEO Smart Link is a plugin to interlink your WordPress posts automatically. You can set up your own set of keywords and matching URLs that allows you to set nofollow attribute and open the interlinked URLs in a new tab or window. You can place unlimited internal links, which saves your time and allows you to increase viewership and decrease the bounce rate. It is a simple plugin where you can control everything from the administration settings panel. SEO Smart Link is a free plugin but also offers a paid version where you will get some additional features. One of the features is caching which will significantly increase the speed of your website. This plugin plays a vital role in the rankings of your website as it can do both interlinking and caching of the website. Interlinking is made easier with this plugin as you can add links in Facebook @ style. You can add links to any posts, pages, or media file. This plugin identifies your older posts with its title. All you have to do is type @ followed by the title of the article and you are good to go. It doesn’t matter whether you are typing the title from the first word or starting from the middle of the title, this plugin will identify all your similar titled articles, and you can choose from the results. It also has a Settings panel where you can control what posts should be chosen by the plugin. Another good thing about this plugin is that even if you uninstall this plugin, then previously interlinked articles will not be removed. They will stay as long as you want them to. You can also link custom post types from any published content as a reference link or any other relevant product. 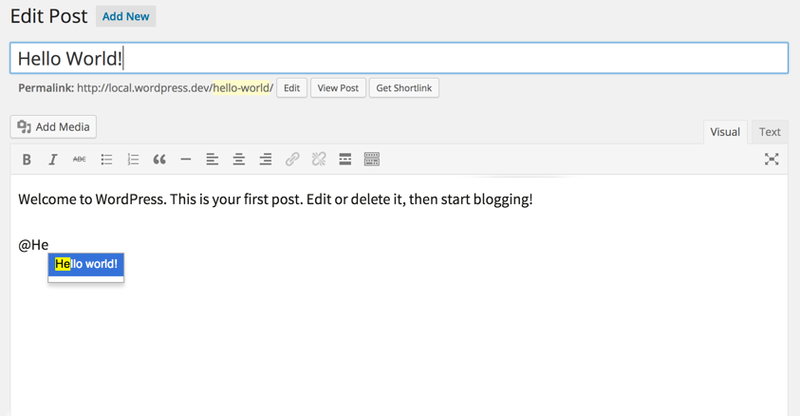 Just like the name suggests, this plugin will also automatically link your existing blog posts into the new ones. The plugin will search the new posts and if the term name is related to your previously published content, then the plugin will automatically add a new taxonomy term to the newly added post. It is compatible with numerous post import plugins, supports custom taxonomies and post types, supports UTF-8 characters including Arabic and Chinese, and have a bulk tagging tool for multiple posts. So, if you were to install this today, you can use the bulk tagging tool to interlink all the previously published blog posts, rather than do it one-by-one. To setup the plugin, you need to create a list of tags with all the related words. Afterwards, the plugin will add tags to posts as per the keywords found in the title and the content by itself. 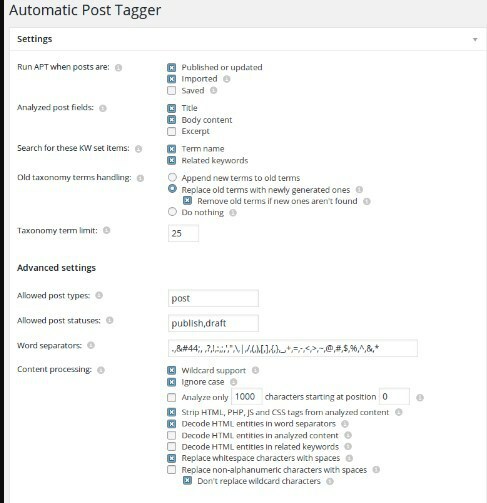 You can set the maximum limit of tags per post, and you can even tag your existing posts in bulk. Its configuration is simple, and no major changes are required. The one thing that you have to do is add tag name and keywords from the settings page or the post’s write panel. WP Optimize plugin is an all-in-one internal link building plugin which uses a related content algorithm to interlink older blog posts with the new ones. This auto-linking plugin will associate your posts with target keywords and will automatically link the article whenever that keyword is used. Image optimisation is its another feature where the plugin adds a watermark to the image and also reduces the image’s size without impacting its quality. By reducing the image size, it also makes the blog faster to load. Also, it optimises the image’s Alt/Title to help it rank even higher in the search engine. Lastly, with its ‘Optimise Traffic’ feature, you could decrease your website’s bounce rate, enhance the Time on Site and improve the pageviews per visitor. The SEO Auto Linker adds relevant links to your article whenever you use specific keywords in an article. You can link those keywords to the URLs through the Settings menu so that it can identify and add relevant links. Moreover, with the help of this plugin, you can add external links to your articles as well. You can even decide the number of internal links that should be shown per keyword. Interlinking contributes a lot to your website’s ranking on the search engines. You should keep on interlinking the articles, and the traffic will inevitably increase with time. 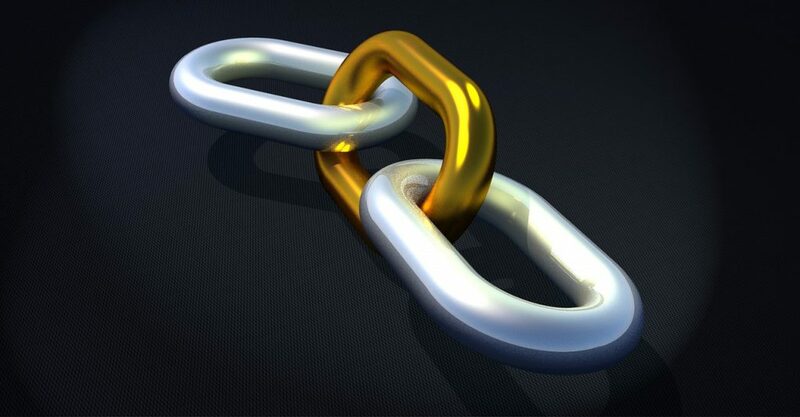 Linking will also keep your older articles fresh and keep the visitors coming. All these plugins will make it easier for you to interlink your article and save your time as well. Choose any of them and see what works best for your blog.